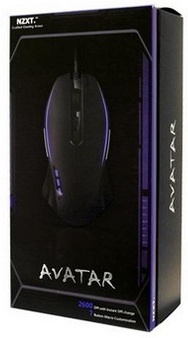 The Avatar is the first entry into the field of gaming mice of NZXT, normally known for producing high-quality PC enclosures for the LAN gaming market. 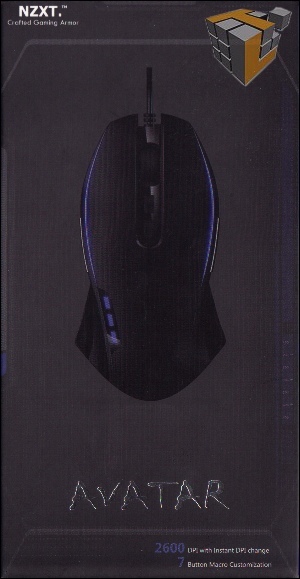 This is not an atypical pattern; other manufacturers (recently, SilverStone) have branched out from computer enclosures and PSUs into gaming mice with unusual form factors. 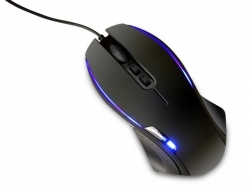 SilverStone’s was solid but unspectacular, filling a peculiar ergonomic niche for those with extra-large hands… could this be the Next Big Thing, or will it just be another middle-of-the-road mouse for people with – this time – narrow hands? Or left hands — the Avatar already has something going for it, in that it is totally ambidextrous, save the LED sensitivity readout. But that’s not a control, and I’ve yet to find one of those that’s really useful. Of particular relevance to this discussion is mouse grips – how people actually hold the mouse in the hand. Here, Razer has probably spent the most time introspecting and quantifying just what it is to hold a mouse; I will be using their definitions as they are a common point of reference. Not to give you the impression that the Avatar is a ripoff; it does not compare directly with anything we could find and its shape is unique in the narrow, high arched back and long finger-rest buttons. When I finally got my hands on it, the first thing that struck me was that the Avatar was meant to be tucked up into the pit of the hand. From here, it can be used either in a comfortable palm-down grip, or with the fingertips resting vertically on the buttons in a claw grip; either way, the pinkie and thumb rest in the hollows on either side of the mouse under the shiny silver forward/back buttons. 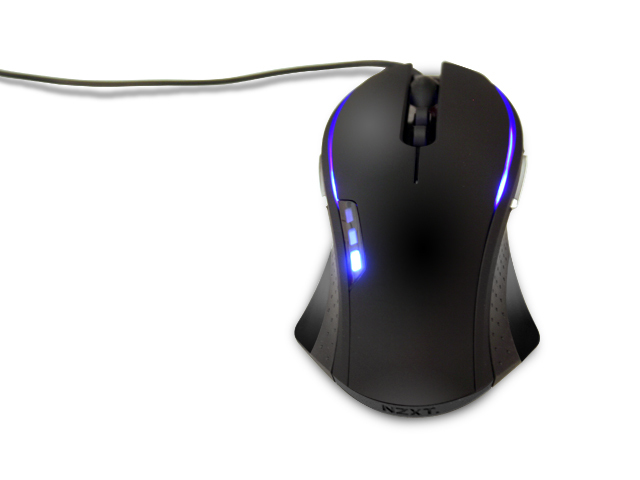 Fingertip grip was immediately obvious as an ergonomic disaster, as even my long thin fingers couldn’t comfortably reach the buttons while floating the mouse between them. I also had an unfortunate tendency to grab the Avatar by the side buttons this way. This may be a dealbreaker for some, but if you have read that and not been frightened off yet, keep reading – this puppy may be just the ticket to fragging and bragging. The Avatar came packed in a gloss-on-matte printed black box with a fold-open cover; the cover contains the manual and driver CD protected by a foam insert. Flipping it open, we find a key diagram on the back of the cover, and the mouse itself deeply recessed on the right, just above a brushed metal (real metal, not magnetic) NZXT badge stuck to the cardboard. Maybe this is a case badge to go next to the ones provided by your motherboard, processor, and video card providers? Unfortunately, the mouse sits too deep in the box to get a good feel without removing it… so that’s just what I did. 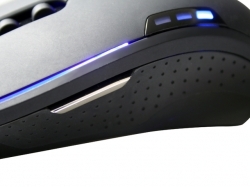 The Avatar itself s a wasp-waisted mouse with serious science-fiction design cues, from the slighly projecting main buttons that flow smoothly out of the rubberized surface, to the rear ‘hammerhead’ that spreads the weight onto two very slick Teflon pads. 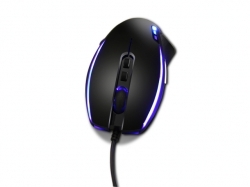 Trying these out on a proper mousing surface, the Evo-G MP2, made me realize something – this is easily the slickest mouse I’ve ever felt. I don’t know what they did to the teflon, or whether it will do anything to its service life, but whatever they did I was impressed. Pulling the manual and driver disc out of the cover, both were concealed by a closed-cell foam insert that slid out from the case. Nothing here was enough to get points docked from the score, and that wonderfully slick teflon and great rubberized grip was enough to earn a half point already.